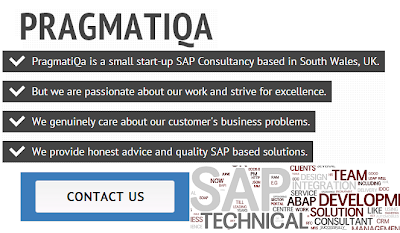 Recently started a small SAP Consultancy PragmatiQa based in South Wales, UK. I am a SAP Professional with over 15 years of experience in Solution Design, Development and Maintenance of SAP Applications. Core experience is in ABAP programming with considerable domain knowledge of several sectors and exposure to most of Functional and Technical areas in SAP. I've good understanding of business processes, functional knowledge and technical expertise to propose as well as deliver robust technical solutions that solves business problems. Before PragmatiQa, I was working as a part of Logica UK's SAP Practice and providing SAP Application Management Services as well as supporting Project delivery.